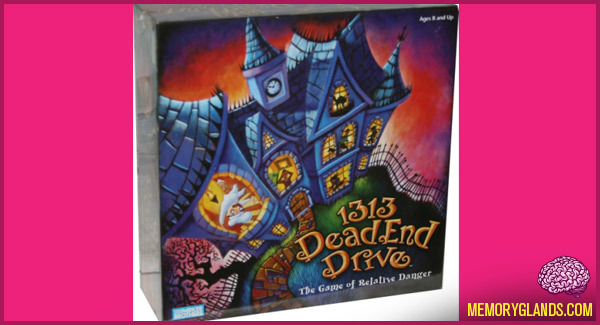 1313 Dead End Drive is a murder-themed board game from Parker Brothers. Released in 2002, it was the sequel to 1993 game 13 Dead End Drive. The story behind the game revolves around the death of Aunt Agatha, a wealthy old woman and heiress to a “kitty-litter empire.” Sixteen of her closest companions have gathered at her estate for the reading of her will, and to collect their inheritance, they must escape Aunt Agatha’s trap-filled mansion before midnight.